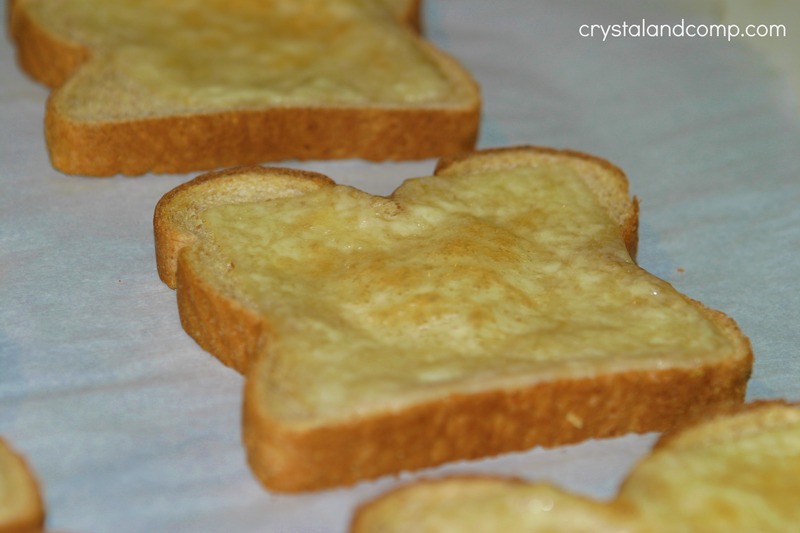 When I was in elementary school, cheese toast was a regular breakfast item on the menu in the cafeteria. I loved it. As an adult my love for cheese toast is two-fold. I love it because it tastes great and because it is so easy to make. Especially on a busy morning during the week. Did I mention my kids enjoy it as well? 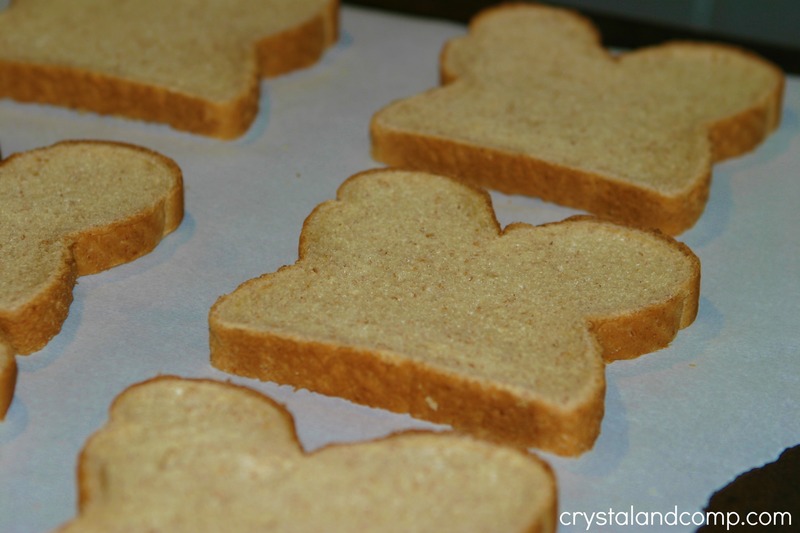 Place your bread slices on a cookie sheet. I like to line my cookie sheet with parchment paper to make cleanup less of a mess. Place one slice of cheese on each slice of toast. When I purchase deli meat at the grocery store, I also get a pound of sliced cheese. Generally either Sharp Cheddar or White Sharp Cheddar. I use it for our sandwiches and for toast in the mornings. 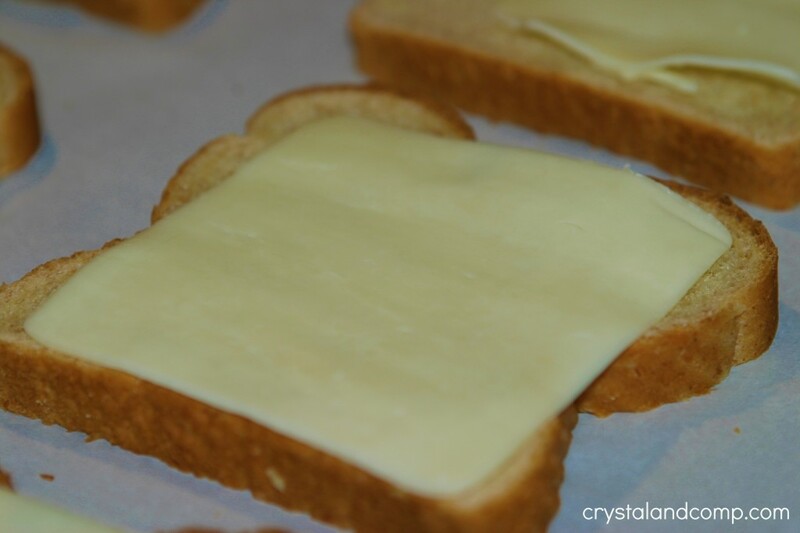 Pop the cookie sheet in the oven and let it toast the bread and cheese for about 10-15 minutes. Keep an eye on it those last few minutes. When the cheese slightly starts to bubble and turn golden, breakfast is done! I like to serve this to my kids with a glass of milk and a piece of fruit. This is a very easy recipe….requires a hort amount of time to prepare and tastes wonderful! Kinda like a english muffin with cheese. Those are yummy! Tracy- we have totally done that too! Quick and easy, my kind of meal! Also, you could spread a little spaghetti sauce on before the cheese and you have sort of a pizza, lol! 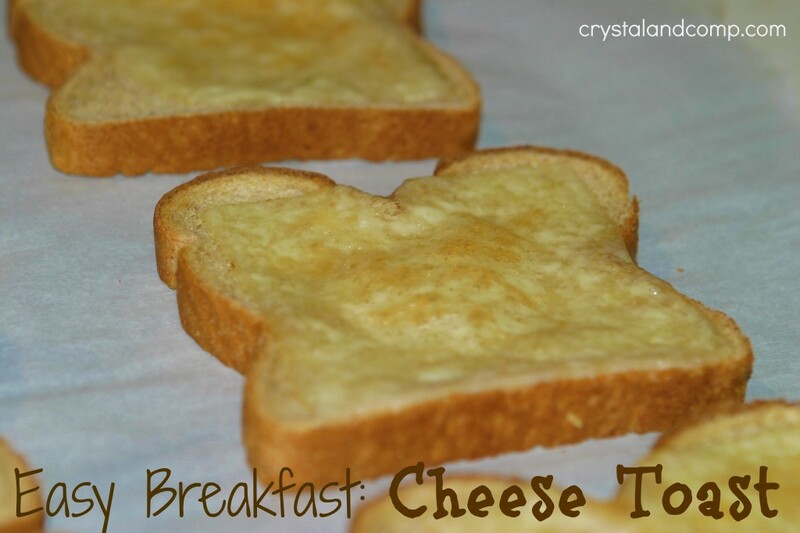 Cheese Toast is the greatest and all time favorite here at The Cottage! Hope you are having a great weekend and thank you so much for sharing with Full Plate Thursday.